Or by importing your document using our document importer. 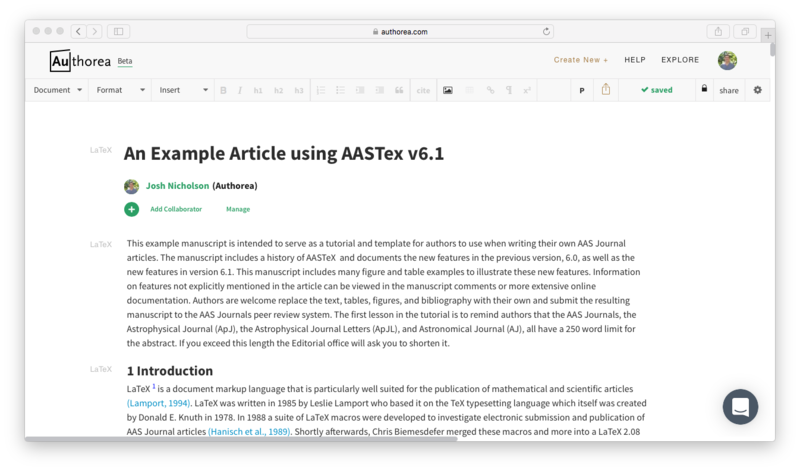 When you&apos;re article is ready for submission, you can directly submit by hitting the Publish button from the toolbar. You will then receive an email from the AAS on how to log into the peer review system to complete your submission. There you can add or edit any files and the other necessary information. Note that a manuscript is not considered submitted until you finish this last part and receive an email from the AAS editorial office. 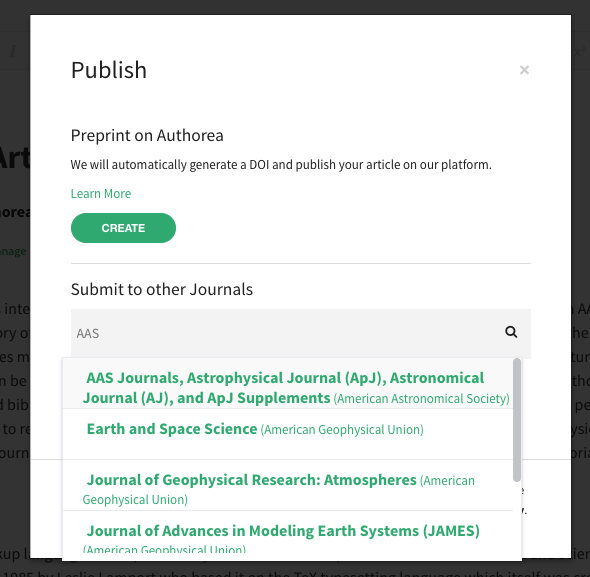 From the popup, search the journal name you wish to submit to and select publish. Submissions to ApJ, AJ, and APJS all go directly to the same place. To submit to ApJL, please select ApJL. You will then receive an email from AAS on completing your submission, where you can add or edit any files and information sent over.